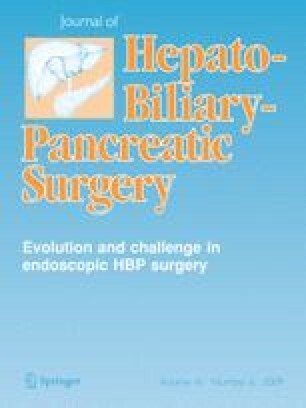 We draw on our experience with laparoscopic hepatectomy (LH) to present recommendations for standardization of LH for the treatment of liver tumors. At our center, 90 LHs were performed from April 1993 to January 2008. These were divided equally into early cases and late cases, and short-term postoperative results were compared. Forty-nine of the LH procedures were total-laparoscopic procedures, 16 were hand-assisted procedures, and 25 were laparoscopy-assisted procedures. The tumors were malignant in 76 cases and benign in 14 cases. Among late cases, the numbers of malignant tumors and tumors located in the posterosuperior region of the liver (Segments VII, VIII, and IVb) were significantly higher than among early cases; however, operative blood loss and postoperative hospital stay were significantly lower in the late cases (158.9 ± 213.4 vs. 377.6 ± 421.2 cc, P = 0.007; and 8.7 ± 3.6 vs. 15.3 ± 8.7 days, P = 0.0001, respectively). No operative deaths occurred in either group. Although LH does have a steep learning curve, we believe that it can be standardized and provide a less invasive surgical option—with no reduction in disease curability—for the treatment of liver tumors in selected patients.